How do things really work on our planet now? One way of answering such a query is to respond that they are operating in crazy, unpredictable, and decidedly suboptimal fashion. Half or more of the world’s wealthiest nation’s populace, for instance, face difficulties making ends meet month to month. Around the globe, people take to the streets and violent upheaval and repression spreads. Two fifths of the world’s workers, or more, have no steady reliable jobs that permit them to contribute to their families and communities. Another approach sees the incredible potential of technique today as so powerful that nothing can stop things from turning out just fine. The Internet, nanotechnology, biotechnology, robotics and cybernetic methods, and all manner of additional legerdemain have become more and more prevalent, promising the vaunted ‘productivity’ and progress that business leaders and plucky politicos hope will permit everything to continue as it’s all functioned in the past. More than ever, Charles Dickens’ prescient utterances at the beginning of A Tale of Two Cities resonate with chilling force. The upshot of these initial observations, as sketchy and overarching as they might be, shows up as a trio of undeniable tendencies. First, a vast gulf separates the living standards and life expectations of those at different ends of the social spectrum. Second, overall economic output—the combined productive energies of the world’s inhabitants—is far below, maybe as little as half or less, the capacity to produce that would happen were we to labor together with the tools that are available everywhere. Third, the social stress and violation of the present pass threaten everywhere to erupt in protest and popular outrage, which might easily explode in mayhem and carnage—ultimately of such proportions that extinction is not unthinkable. In such a context, surely common sense dictates that we take stock, that we ponder seriously both how to understand what is taking place and how to act in relation to it. This series, Blazing a Union Trail Through the Thickets of Time hopes to facilitate conversations about these pressing twin necessities—comprehension that is rich and real and action that is powerful and in our own interests as working people. Always, it begins with the premise that we have arrived where we are in a way that we can explicate, if we’ll only look behind surface representations of the past—about ‘New Deals’ and ‘Wars to end all wars’ and honest elections and so on and so forth. That such treacle is all too easy to swallow, since the established ‘leaders’ around us all seem to savor its sweetness, does not make it any less facile and false. Today, those who like may venture back to another time when the ‘undeniable tendencies’ noted above were also all too ferocious and fearsome. The 1930’s yielded a Great Depression, persistent social uproar, and ended in the sort of World War that could easily extinguish our kind were it to occur again. The specific focus of this essay is the work of one of history’s truly awe-inspiring politicians, on the one hand, and the labor leaders and common wage-earners whose stories and struggles he sought to champion, on the other hand. Robert La Follette, Jr. was a dyed-in-the-wool Republican for much of his life, though his party often enough tried to eject the father whose name and Senate seat he took, and occasionally him, like a food-poisoned reveler might try to heave up his lunch. After he won the special election that followed his father’s death in 1925, he carved out a legacy as a spokesman for labor and the destitute during his twenty years in the Senate. Prior to taking over the family seat, as it were, he had served as his dad’s chief of staff for six years. His family’s later influence in creating a Progressive Party has shaped Wisconsin politics for many generations, and for two of his three terms in the Senate, Robert Jr. ran on a Progressive ticket. While he never finished college, his father taught him the nature of trial and evidence with precision and pragmatism, as anyone who reads some of the tens of thousands of pages of hearings and reports from the ‘Civil Liberties Committee’ will discover. The establishment and success of this forum represents one of the most critical chapters in the annals of ‘progressive politics,’ or a ‘peoples agenda,’ in the two hundred years that the United States has existed. His 1946 primary race loss to Joseph McCarthy combined tragedy and conspiracy. La Follette lost both because reactionary money and leverage worked behind the scenes for his opponent and because he failed to campaign vigorously. McCarthy’s epic assault on ‘communist conspiracies’ then conjoined farce and parody to this comeuppance. That this group of politicians and operatives—an ad hoc investigative subcommittee of the United States Senate Committee on Education & Labor, brought into being by a La Follette-authored resolution in June, 1936—was able to assemble and create hundreds of thousands of pages of documentation and witness with a few measly $35,000 funding increments testifies to the human spirit’s capacity for marvel. One will rapidly encounter, in researching these things, a fact about the Subcommittee Investigating Violations of Free Speech and the Rights of Labor. It contained four Communists, one of them its chief legal counsel, John Abt. While the name La Follette in popular parlance attaches to the committee, and the Senator from Wisconsin did introduce Senate Resolution 266 early in 1936, authorizing such an investigatory body, Jerold Auerbach, whose monograph, Labor and Liberty, tells the story of the how the committee operated and what it discovered, cautions against centering credit for the whole process on La Follette’s leadership. “The available evidence suggests that the chairman’s importance to such investigations has often been overstressed.” The background work of staffers—lawyers, gumshoes, the foot soldiers of the effort—was what set the stage for one type of the intensity and drama that again and again characterized the dozens of hearings that the committee held. The willingness of working people to appear, despite the trials that they encountered, and to testify to the violence of those trials, effected another sort of potency and dramatic verite wherever the committee set up its shop. In this vein, the nature of the hearing process itself illustrated a two-pronged necessity. The first was gaining the legal authority to subpoena people and documents that would otherwise never be obtainable in evidence. This was to a degree already within the Congress’ power, and FDR’s July, 1936 Executive Order 7411 gave the committee much greater reach to obtain financial and other business documentation of corporate and private practices against labor. Another aspect of this first sort of effort was figuring out how to deal with noncompliant witnesses. Repeatedly, committee investigators found trashcans and other waste repositories full of documents “not in the possession” of subpoenaed witnesses. These retrievals and finds always occurred immediately following affiants’ denials of having any sorts of materials that the committee had specified in its warrants and discovery demands. Much staffer labor went into reassembling shredded papers that perjuring witnesses had just sworn did not exist, just before they ripped the items to pieces and sought to dispose of them. The second element of holding hearings of this sort, dealing with violent struggle and murder and mayhem and subterfuge and deception, involved winning the confidence of the trade unionists and workers whom management had beaten and shot and threatened and spied on and fired and otherwise brutalized in every conceivable way. Had the committee’s staff and protocols lacked integrity and commitment to a fair telling of these horrific tales, the thirty-thousand pages of the subcommittees reports would not read as dramatically and astonishingly as they do. Many people who suffer daily in the early twenty-first century cannot readily conceive that social affairs were once remarkably like they are now, or even worse. The words, “Great Depression,” evoke some far off and long gone day, from which just slight echoes of dire straits remain, and about which the overwhelmingly dominant story today is one of reform and justice and, finally, fairness. Not that what happened in the New Deal did not constitute improvement, quite the contrary, tremendous strides in democracy and community empowerment did take place. But these steps toward progress only came to pass because of the blood and sweat and tears that laborers shed, and the constant battle that working people fought on their own behalf, against the never-say-die might of industry and concentrated capital that was the height of wealth and power at that time, and that remains the pinnacle of established authority to this day. Any notion of a gift from on high that salvaged ‘American values’ is fatuous nonsense. This is the fundamental underlying message of the La Follette committee’s work: wage-earners struggled, on their own behalf, against the mightiest mavens of business and won a bit more breathing room, a slightly enriched social scene, and a little larger portion of the economic pie that only emerged from the oven in the first place because of their labor. As with Dickens’ words, these observations seem to apply to us as clearly and easily as shrink-wrap. Then and now, the upper echelons of the social system have seemed oblivious to these facts. In fact, they insisted then, as they still do, that only policies of further constriction and harsh discipline would serve to yield better conditions. In this vein, employers and the wealthy maintained that all reasonable people agreed that plutocrats should be in charge. Contrary to such puffery, workers of the 1930’s were in fact fed up, and they were acting in every imaginable way to stick up for themselves. Persistently, ‘proletarians’ demonstrated—from San Francisco to Seattle, throughout the mining and farming regions of the West, in Omaha Nebraska and St. Louis and Chicago and the sharecropping fields of Southern cotton, in New Orleans and Birmingham and Atlanta and the mill hills of the Carolinas, in Pittsburgh and Cleveland and Youngstown, in the concentrated metropolitan areas of New York and New England, throughout every corner of the land—that they were willing to fight and die to assert their rights and improve their condition. The reactionary arrogance in response to such upheaval—‘we who own everything know how to take care of business, and everyone else should just shut up’—was just one component of the social situation, however. As hunger visited many if not most of the homes in the nation, and starvation loomed on the horizon for more than a few, and millions of people ‘voted with their feet’ and abandoned the farms of the South and the Midwest, a much more sinister and vicious face of capitalism emerged from the ranks of the boosters and self-righteous proponents of property’s supremacy. The findings of the United States Senate’s Committee on Labor and Education, Subcommittee on Violations of Free Speech and the Rights of Labor clarifies this like an ammonia-solution scrub lets light stream, sparkling, through glass. These stories, so hard to find now, so little heralded, constitute an inheritance that we ignore or discard at our most terrible and instantaneous peril. The standard operating procedure of capitalism in the 1930’s—and many would nod, “in the present moment as well—resembled a racketeering enterprise. It combined aspects of a protection racket, of multifaceted schemes of extortion, of sophisticated espionage and deception, of pervasive and invasive propaganda, of every sort of threat and violence imaginable. Upon hearing such accusations, many people want to cover their ears. “It cannot have been that way! What of Jimmy Stewart in ‘It’s a Wonderful Life?’” Just so: excellent exemplification of life as advertising and propaganda, as a mediated experience dominated by public relations and subtle and not so subtle spinmasters who wanted to reach inside the average person’s skull and plant a ‘just so’ mindset. George Bailey and his people’s bank was certainly a pleasant fantasy. But in relation to every real realm of society, capital’s owners and agents practiced secret wars on the majority of the people who no longer acceded to rule by the rich. Hundreds of pages of documented data, admissible in evidence in criminal trials that ought then to have occurred, uncover all of the following sorts of activity. Capital subverted the law, buying or otherwise persuading judges who would issues restraining orders against the merest hint of aggressive labor organizing and action. ‘Rule by injunction’ consistently undermined unionization until the pitched battles of the 1930’s forced the adoption of some authoritative recognition of the rights of labor as at least worthy of consideration. The ‘Civil Liberties Committee’ came into being in part as an exercise in reality orientation toward this strife. Capital lied and otherwise editorialized on the radio, which the Radio Act of 1927 had handed over to the corporate sector. They owned all of the larger national newspapers and most of the local print media, where, more often than not, the slant of stories toward property and the upper crust was just part of the media business. Capital organized vast interlocking ‘unions’ of employers. Industrial associations for each area of business had sprung up decades before, during the earliest days of unions’ appearance in North America. In the 1930’s, ‘Liberty Lobbies’ and like-minded stalwarts of property and anti-communism were omnipresent. At the apex, a National Association of Manufacturers orchestrated countrywide campaigns that matched what industrial groups and individual conglomerates were doing regionally and locally to subvert and annihilate uions. Despite the statutory right, finally won under Roosevelt, to organize and bargain collectively, these massive conglomerations of money—representing large majorities of corporate entities—intended to destroy union legitimacy in its youth. What today the grandsons of these owners call a “right to work,” their grandfathers termed an “open shop.” Dozens and scores of time, Senator La Follette and his colleagues proved conclusively in cross-examination that big business had adopted an outlaw attitude toward the rights of labor. Capital formed fake company ‘unions’ in this regard. Following the National Industrial Recovery Act’s 1933 insistence that employees could create organizations that they chose, independent unions doubled membership in two years. Company-inaugurated councils, meanwhile, where dues were forty cents a year or nothing, where the National Association of Manufacturers ‘local constitutions’ arrived in the mail, where anyone who complained was fired or otherwise disposed of, increased their ranks fivefold. Capital spent millions of dollars each year on hundreds of ‘detective agencies,’ not one of which had a union client. Pinkerton, Burns, Corporation Auxiliary Company, and two others were the primary targets of the Senate investigation. For the avowed purpose of destroying the AFL-CIO and other ‘communist’ activities, these firms and their competitors organized ongoing general fact-finding campaigns and ran networks of “secret agents” throughout the country. Capital spent smaller sums to send ‘Missionaries’ into communities near plants where union drives were underway. These charmers spread innuendo about unions’ driving communities into penury, about communist and terroristic activity, and about the general ills of unionism, targeting especially the wives and families of a factory’s workers. Capital spent more millions of dollars each year on spies and agents provocateurs whose task was to infiltrate unions from the outside. Not only did such as these collect tidbits about the status of operations within a workers’ organization, but they would also foment violence, factionalism, and other dangerous brinkmanship so as to discredit or expose the union to criminal liability and so forth. Capital spent millions of dollars each year on tear gas, vomit gas, the dispensers of these chemical poisons, Thompson sub-machine guns, the most advanced shotguns, and pistols. Capital spent smaller sums on bullets and training for its coterie of agents, as well as on sandbags and other ways of turning factories and shops into fortresses from which owners could order firefights when they deemed their interests to dictate such extreme measures. Capital recruited policemen, again focusing on obtaining alliances at the top, or even within entire forces of public ‘peace officers.’ Capital paid National Guardsmen, both enlisted personnel and officers. Capital garnered weaponry and ordnance, through the police forces that its minions had bought off, that were not legal for private individuals to purchase. Capital intimidated, attacked, beat, and killed labor organizers. Its ‘goons’ and soldiers had specialized ‘Sluggers’ and ‘Finks’ and Guards, generally armed, whose particular skills were in fighting and bodily damage. Scores of times, company personnel opened fire on unarmed strikers or picketers. Hundreds of deaths and injuries occurred in Appalachian coalfields. Ten strikers died from gunshot wounds and nearly a hundred more were wounded on Memorial Day, 1937, at the Republic Steel facility in Chicago. Class war, orchestrated from above, was the order of the day and the standard operating procedure of those who owned most of everything at that time. Literally thousands of labor unionists died—shot to death, beaten, lynched, simply disappeared from the land of the living—in their relentless battle to attain a measure of power and decency and something akin to democracy and justice. Even more so than the list above—detailing the perfidy and sanctimonious hypocrisy of plutocracy, and which might have gone on for many more pages—the delineation of wage-earner experience could fill innumerable volumes, even more than the plus-or-minus fifteen thousand pages of worker testimony that emanated from the subcommittee’s hearings. However, such voluminous listing is beyond our means here. As such, just a few sets of specific data, organized according to the general type of information that they convey, appear below. From the coal fields and metal mines and forges of Appalachia, readers learn of ‘Bloody Harlan’ County, Kentucky, and of the attacks on ‘Commies’ throughout the Southern Mountains, from Eastern Kentucky to Birmingham. Committee witnesses show their scars to the world before the dais of Senators who seek information and evidence. From the blast furnaces and rolling mills of America’s industrial heartland, researchers may discern threats and intimidation and violence on an unprecedented ‘peacetime’ scale, with occasional mass attacks’ occurring against working people to punctuate the steady day-to-day routines of repression. From specific instances of mass depredation and murder, examiners find scores of unprosecuted murders and injuries. Even the most horrendous cases of such orchestrated chaos, such as the Chicago Memorial Day massacre on May 30, 1937, have less of a hold on public imagination than do political races and speeches and other more acceptable exemplifications of history. The testimony of the workers who were present in such cases begs for an audience no smaller than most of the people alive on Earth today. From the fields of the Delta South and California’s Central Valley, onlookers can watch the relentless grinding to dust of people’s humanity. Yet the field workers and pickers and organizers in these situations remained human; they did not forgo either hope for a better world or demands for respect and improved conditions. John Steinbeck’s The Grapes of Wrath utilized such testimony and witness, from which a well-oiled campaign of libel ensued against the author, in spite of his also receiving prizes and accolades for his truth telling. From the harbor-docks of all coasts of this great nation, the stench of corruption emerges, not of evil union bosses, but of bought-out police forces and murderous company plans to upend all hope of strong unions in key transportation industries. The National Labor Relations Board at its inception was, compared to the attenuated timidity that characterizes it today, an amazing thing. Its first annual report calls to arms all members of society who believe in equity and following rules that can support democracy. In many ways, the La Follette committee’s work—the hearings themselves, the validation of unionists as exemplars, the effects of the reports and news about these documents—laid the basis for the operational success of the Wagner legislation, the National Labor Relations Act, which established a superstructure of a ‘balanced’ bureaucratic mediation between organized management and organized labor. The Fair Labor Standards Act was another key piece of such enactments. It established the minimum wage, limitations on the hours at work, and other basic reforms that honored workers as humans. It severely limited, for the first time successfully, the use of children in manufacturing and mining jobs. Though attacked as communistic and degrading from the outset, the massive dislocations of depression allowed such legal formulas to become the law of the land. Even with the expansion of the Supreme Court that FDR managed, however, both State and Federal judiciary began assaults against such laws and their enforcement before the ink from the Presidential signature was dry. As has so often been the case, jurists often sympathized with employers. That these pieces of legislation failed, in the long term, to foster a truly ‘level playing field’ between labor and management should come as no surprise. The level of animosity toward the uppity ranks of seedy and unpropertied espousers of Solidarity Forever amounted to a lifelong, visceral hatred that meant that every opportunity to backpedal, to undermine, and to revoke would be a new turning point, a new battlefield, another critical juncture where the huge war chests and vast networks of capital would ultimately triumph against any workers’ enterprise other than one that operated at the deepest and most radical level. In case no one notices, This Humble Correspondent must point out something pretty obvious. The relations of dominance and subterfuge and treachery and devastation characteristic of the past have prevailed; they plague us still. Recent events in relation to union organizing in Chattanooga are just one sign of this gritty persistence of reaction. If one examines the various ‘reforms’ of labor law since the 1930’s, without exception the legislation sets labor back and advances a National Association of Manufacturers agenda. The Taft Hartley Act began this process. It also initiated the South’s role in representing the most backward and vicious expressions of current day capitalism. Furthermore, other enactments followed on the heels of Taft-Hartley, the Labor Management Relations Act: one of the most important among them, in the way that it further circumscribed unions to the benefit of management, was the Labor Management Reporting and Disclosure Act, the Landrum-Griffith amendments. The parliamentary leadership of all of these efforts reads like a ‘Who’s-Who’ of elder statesmen and other esteemed guardians of social order. Many, perhaps most, of the up-front and behind-the-scenes guidance of such bills came from Dixie too. Whether one examines the efforts of neo-Nazis like Jesse Helms or of so-called progressive Southern Democrats such as Sam Nunn, the end result is fairly similar. The attenuation of the power and scope of the National Labor Relations Board; a de rigeur defense of the ‘open shop,’ or the ‘right to work; and the general orientation to the rights of workers of someone who puts up with a bad smell in anticipation of eradicating it eventually; these and other tendencies define the lives and policies that lead the United States now. In other words, all of the lovely reforms that came from the ‘New Deal’ did not hold steady. Since then, the same forces that fought their coming into being diverted, co-opted, and undermined them at every turn. The Koch Brothers, the American Legislative Exchange Council, and all the alphabet soup and spin of organizations that justify a class society’s organization of, by, and for the rich merely maintain the hoped-for, explicitly planned consolidation of ruling class imprimatur that the ‘New Deal’ ever so briefly interrupted. Some would argue, persuasively, that these seeds of devastation were part and parcel of the vaunted reforms of the 1930’s themselves. In such a view, Franklin Delano Roosevelt—he of the Navy Secretariat and the to-the-manor-born understanding of how older forms of business were yielding to newer norms and procedures—essentially saved capitalism from the more brutal and unreflective nature that a substantial majority of the bourgeoisie accepted as fundamental to social life. In any event, the demonization of ‘socialist’ and ‘Marxist’ thinking has lasted to this moment in time. These and other deflections of a people’s agenda had become common in the late nineteenth century. They endured and became even more intense as a ‘New Deal’ progressed, and became the basis for social and political organization in the aftermath of the ‘battle-for-democracy’ that succeeded in rescuing capitalism where any semblance of ‘new deal’ had failed. In the event, with the House Un-American Activities Committee the most visible leader of the charge, attacks on workers and their advocates became fine sport from the mid-1940’s on. Pete Seeger’s brave defiance in this situation was not the exception to the rule, but most ‘defendants’ before Congress did cave in. And legal attacks on unions and their allies, and laws that further hamstrung labor organizing, were not far from passing in this general context of Red-Scare ‘hysteria’ and real-world repression. One way of responding to this dire picture of reaction and retrogression is to insist that we bring back the days of oversight and greater equity. And who would argue that a truly fair National Labor Relations Board would be a dandy move? Such a mandating of a refurbished ‘New Deal’ is exceedingly popular just now. This Humble Correspondent has encountered it a dozen times or more in his own outreach. Hundreds of such ‘leftist’ publications as Alternet, web portals like “Think Progress,” and ‘community organizations’ in the vein of Media-Matters-For-America have made this sort of nostalgia the prime element of their cookie-cutter agendas for improvement. The problem with such thinking, however, is that, if anything, the concentration of wealth and power is greater today than it was in 1936. To imagine that pieces of paper that read ‘the law of the land’ or bureaucratic structures that inhabit grand buildings will somehow command these powerful forces to stop their depredations appears, if nothing else, a little overly optimistic. Such methods have yet to bring to pass the necessary transformations that a world that works for anybody requires, let alone helping to facilitate a planetary system that serves the needs of common folks. While This Humble Correspondent has no specific program, let alone a magic formula for producing the sort of interactions and developments that we need, he does have some ideas to share—he can’t help himself. First, more than any other bugaboo, fear of ‘commonists’ and ‘commonism’ hold us back. If we cannot discuss the possible viability and desirability of social democratic reform, we cannot advance. Second, almost without exception, the media of mass communication will never serve common, working class interests in their current form. Only a radical and community-led reformulation of print and electronic communication can permit anything other than destructive propaganda’s predominance. Third, the vaunted ‘liberal’ labor reforms, under attack since their inception seventy years ago, now have eroded to the point that the level of organizing and solidarity is about the same as it was in the 1920’s. Doing something about this is obviously on many unions’ agenda, but how many times do these efforts account for numbers one and two above? Inquiring minds would like to know. Fourth, increasingly in the 1930’s, and overwhelmingly today, a cult-like lionization of expertise inhibits or precludes participatory democracy or grassroots involvement. This Humble Correspondent, whatever errors he might make, is as valid a contributor to any conversation—no matter the esoteric underpinnings—as any worker capable of reading and willing to study. We must, no doubt, seek specialists on occasion, but the idea that only they may deliberate and decide is a death sentence. Fifth, the evidence of this history, which This Humble Correspondent jumped through hoops to ascertain, is almost never simple to obtain. On the contrary, while anti-communist crusades and other beneficiaries of established wealth proffer their insidious special pleading at every turn, even documenting the simplest facts—which are true no matter their Orwellian disappearance—can take hours, if any electronic presence is even accessible at all. This last point might fascinate a ‘liberal-minded’ observer. After all, access to knowledge and information is a sine qua non of democracy and equity. Nevertheless, scholarly accounts of these matters are as often as not only attainable through expensive academic journals. The original documents, even though they are of obvious historical importance, are almost never accessible electronically. Whereas on the first ten Google pages that a search of “House Unamerican Activities Committee” + Reports OR Hearings generated, one might download twenty or thirty complete government documents, the search for “Subcommittee on Violations of Free Speech and the Rights to Labor” + Hearings OR Reports yielded just one such document from the initial ten pages of citations. After a dozen additional searches, thanks to USWA Local 1010, two further installments from the Subcommittee were also obtainable. And a University of Michigan portal, while it did not permit downloading more than one page at a time, did provide viewing privileges to several more volumes. The point of this, perhaps paltry on its surface, is pretty simple. We cannot make sense of the present if we do not have reasonably efficient ways to access the past. We cannot do our jobs, in other words, in the milieu of one profiteering enterprise after another, none of which are available to regular folks—who cannot spend thousands of dollars a month on subscriptions. The reign of corporate media, and the attendant control of virtual reality that accompanies it, will always win out in such an environment, eviscerating democracy and progress willy-nilly along the way. Finally, therefore, a few very tentative suggestions seem at the least rational to consider. First, if not foremost, one tremendously useful step would be the establishment of some sort of Labor Archives & Investigatory Research agenda, in which unions and their allies sought to establish and promote the capacity to create a widely publicized and accessible L.A.I.R., from which friends of wage-earners might develop reports and analyses that represent not only our own interests but also a more realistic account of how things actually operate under contemporary capital’s imprimatur. Second, a wider cultural initiative ought to be a no-brainer. Instead of seductive nonsense such as “It’s a Wonderful Life,” which in practical terms define nearly the exclusive output of our society’s storytelling, more honest, truly ‘entertaining’ and ‘re-creational’ films and stories and other materials might come to the front of the line. Third, both local initiatives and national tours and such about these matters of history ought to happen. We could as easily tie them to the present pass as we can subscribe to the digital edition of the New York Times. Fourth, the time is well past due for a hearing process—listening and dialog sessions of, by, and for the working class—to take place again. Clearly, the United States Government, now coterminous with agendas of the National Association of Manufacturers and its ilk, will never bring about such a formulation. In self defense, for their survival, unions and other peoples organizations must find some way to make such reality orientation as that which occurred under the auspices of the “Civil Rights Subcommittee” come to pass one more time. This Humble Correspondent could continue. We all ought to contribute to such persistent expression of ways to promote and purvey a bottom-up, laboring-class perspective. If not, then our forbears will be lucky to live in concentration camps. More likely, they’ll never come to pass. No doubt about it, the time has come to take a stand. As was the case last time, when This Humble Correspondent wrote about the Coal Creek Wars in 1890’s Tennessee, what follows below basically examines then and now. And, as with any kind of understanding, the materials from one slice of life will often serve to help in grappling with another matter entirely. In these cases of labor’s ongoing battle to achieve a better world for the vast majority who are in our shoes, always, what speaks to one set of events has something to say to other eventualities as well. On the one hand, from a fortnight ago, components that addressed class-and-imprisonment, worker-solidarity-across-color-lines, a willingness to resort to extra-legal means to fight for rights, and much more appeared in the main entry, “Tearing Down the Walls.” On the other hand, today’s materials examine the general conspiratorial organization of capital to undermine and destroy working class organizational capacity, the persistent turn toward unions that working people nonetheless display, the tactics deployed by management that are wholly outside the law, and much more besides. The following sections all proffer citations and links for readers to consider. They provide evidence, analysis, and sometimes outright proof of the ideas and facts and perspectives presented in the body of the essay about La Follette’s Subcommittee. Not even the merest fraction-of-a-fraction of the available literature in most cases, the leads given here definitely point the onlooker toward pathways. Following these, she can reach a more nuanced understanding; ambling along their byways, he can attain a richer awareness of contextual and conceptual underpinnings. Over time, this humble correspondent will return here, to update and pare, to add and modify. With luck, some of the observers of this process will do the same. The complete sequence of reports and hearings and more run to over 30,000 pages. Federal and academic archival holdings of background materials probably amount to additional millions of pages. All of this text adds up to veins of gold, untold riches for enabling vision and comprehension in regard to then and now. Hearings: April 10, 1936 to July 1, 1940. This center at Indiana State makes available the La Follette Subcommittee’s “Industrial Munitions Digest,” which covers several volumes of the hearings. This entry point at the University of Michigan makes visible many volume titles, and, one page at a time, allows visitors to view and download pieces. Full downloads require a ‘partner’ institution connection. hathitrust.org – This is also in the nature of an overall page, which permits linking to actual volumes like those below. In this “Preliminary Report,” the Subcommittee introduces the process and begins the scrutiny of owner practices that break the law and, often enough, foment terror. This volume deals with private police in Harlan County, Kentucky, and in Republic Steel facilities. This introductory page leads to the first volume concerning Private Police. In aggregate, eight volumes touch on this and related issues, in the course of several thousand pages in which La Follette and his colleagues catch detective agency and other ‘servants’ of capital in repeated lies that their clever detective work show to be blatant falsehoods. This volume continues the material on spying and ‘detective’ agencies and such; a big section on injunctions and their illegitimate use is also present. More on ‘industrial espionage shows up here, detailing practices, providing a glossary, and more. This is the Employers’ Associations introduction, one of three or four, that details ‘open-shop’ moves and more, especially in regard to the National Metal Trades Association. The National Association of Manufacturers sequences are here, in the third volume considering organized unions of owners in opposition to labor’s rights to organize. http://www.uswa1010.org/info/pdfs/LaFollettePart15D.pdf A heroic USWA Local’s PDF about the Subcommittee’s report on the ‘Memorial Day Massacre’ is available here; that’s local 1010 in Northern Indiana. http://www.uswa1010.org/info/pdfs/LaFollettePart14.pdf This is one more volume that the workers at Local 1010 are helping to provide to those who care to comprehend our history, also concerning the steel-company ordered mass murder of Memorial Day, 1937. This volume provides an appendix to Youngstown and other strikes, affidavits and summaries from these struggles, and various union leader and member testimony. https://ia600408.us.archive.org/2/items/violationsoffree03unit/violationsoffree03unit.pdf This represents the ONLY La Follette Committee monograph available through ‘normal’ channels. Archive.org makes this item, which details depredations against farm labor in California, freely downloadable. 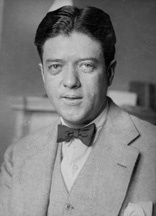 http://lcweb2.loc.gov/service/mss/eadxmlmss/eadpdfmss/2006/ms006038.pdf The Library of Congress offers researchers access to a 300-plus page “Finding Aid” for research about the La Follette family. http://www.justice.gov/ag/aghistory/murphy/1939/06-02-1939.pdf This brief file separates the US Attorney General’s 1939 testimony before the Subcommittee, in which he makes clear that the Senator’s and the Subcommittee’s detailing of duplicity and illegality and viciousness on the part of corporate America is at least substantially accurate. The National Labor Relations Board was once only a year old. Many firebrands of the thirties, from the upper classes, recognized a moribund and unworkable system and committed to change it. Whatever their provenance, all such materials as these make for interesting evidence. Another example of the inaccessibility of critically important information, this thorough government history, a complete National Labor Relations Act legislative history, is a launching point for any clear-eyed view of what happened eighty years ago. http://scholarship.law.duke.edu – This is one of several portals that makes at least an attenuated legislative history of the Fair Labor Standards Act simple enough to examine. https://www.federalregister.gov/ The Federal Register contained various executive orders and other governmental communication in regard to La Follette’s committee, including FDR’s Summer-1936 grant of a broad subpoena power to the Subcommittee. https://archive.org/details/congressionalrec7273unit The Congressional Record, occasionally accessible to readers, also held many elements of the parliamentary protocols and developments, and a few of the substantive ones, in relation to the Committee on Education and Labor’s promulgating La Follette’s work. The date of the affirmation of Senate Resolution 266, for instance, in Spring of 1936, shows up in the Record. http://www.bls.gov – This Chapter six text from a Bureau of Labor Statistics monograph on agency history, introduces Mr. Lubin, the Depression-era head of the agency. http://www.nlrb.gov – National Labor Relations Board’s first annual report reads like a manifesto of firebrands, compared to the tentative and often revisionist attitude of NLRB members now toward their supposed realm of practice, to mediate a fair and equitable interaction among the various representatives of labor and capital. http://www.jstor.org – This preview of the “Extent and Characteristics of Company Unions: Preliminary Report,” from the October 1935 Monthly Labor Review is, despite being a government document almost eighty years old, only available if one pays or jumps through many hoops. http://www.dol.gov/dol/aboutdol/history/flsa1938.htm This is a fairly recent Department of Labor history of the Fair Labor Standards Act, both in the late ‘30’s and over time since then. http://www.slate.com – Pete Seeger’s HUAC testimony, which denied every Congressional attempt to delve into his work in the ‘30’s, shows up in full here. It is a testament to courage and a blithe spirit both. Tens of thousands of books, millions of articles and reports and accounts, speak of the sociopolitical and political economic cataclysm of ‘Great Depression. What appears here represents the tiniest sample of critical works, ones which seek to contextualize the period in terms of crisis and contradiction and conflicts over rule. The Labor Spy Racket, a monograph by Leo Huberman, details the first eight volumes of the La Follette Subcommittee’s work. “The New Deal and the Modern Liberal Right to Strike” is Chapter Five of If the Workers Took a Notion, a study by Josiah Lambert that ties the development of the U.S. as a world power to this empowerment of workers. “They Sit to Conquer” is Chapter Six of Saul Alinsky’s John L. Lewis: an Unauthorized Biography, another great and controversial read that focuses in large part on this period. http://books.google.com – Sidney Fine’s first-ever book-length documentation of the sit-down strike at General Motors in 1936-7, which won the modern labor movement its start in some ways, still amazes in its drama and intensity. Labor and Liberty, till now the only book-length scrutiny of the Civil Liberties Subcommittee, summarizes the depredations deemed palatable in pursuing property rights, on the one hand, and the gritty fight of wage-earners to assert their rights, on the other hand.. This lengthy article, “Waiting for Lefty,” views the Great Depression as a period during which working class cultural output flowered as never before. http://www.jil.go.jp – This academic White Paper, from Europe, portrays U.S. company unions, from their massive expansion in response to National Industrial Recovery Act loopholes, as fundamentally different from similar developments in European countries. The “Perspective on American Industrial Violence” offered here might more often than not appear as apologetics for capital’s crimes, but that is a neat sort of juxtaposition in relation to the Subcommittee’s methodical revelations. https://www.fas.org/irp/ops/ci/docs/ci1/ch4end.pdf These footnotes to an otherwise unavailable research paper on ‘intelligence activities’ “between the wars” reveals multiple intersecting points of contact between governmental spying and ‘industrial espionage’ aimed at destroying unions. Gerald Auerbach’s Labor and Liberty stemmed from a Journal of American History article about the La Follette Subcommittee’s findings and what they said about America’s special embrace of oppression and top-down terrorism. “Industrial Terrorism and the Unmaking of New Deal Labor Law” shows the relentless campaign from the trenches that big business waged, even as its lawyers and propagandists fought for the same cause in the courts and in the media. http://content.wisconsinhistory.org/cdm/ref/collection/wmh/id/46322 The ‘intelligence’ analysis of La Follette for British interests was the work of “Professor Isaiah Berlin,” a famous academic and literati who was watching out for English interests in Washington in the 1940’s, all of which was the focus of this Wisconsin History Magazine article. “Artists on the Left” details the 1930’s movements and struggles and engagements that occurred as cultural workers sought surcease from collapse and literal, not figurative, starving-artists’ syndrome. http://www.outpost-of-freedom.com/library/provoca.pdf Agents Provocateurs and Informants as ‘participants’ in social movements is the point that this monograph develops, in the process demonstrating the ubiquity and iniquity of the practice. https://www.csupomona.edu/~jis/2003/Morsberger.pdf Steinbeck’s demonization for Grapes of Wrath was instant, even as the best-seller status of the novel was unstoppable, an excellent study in both the imprimatur of and limitations on ruling class public relations and propaganda. http://www.indypendent.org/sites/default/files/indypendent_issue_33.pdf A review of Commercialized Strikebreaking, which shows up at plus-or-minus page six-seven, gives a briefing to readers that this book should be part of any organizer’s history library. This British Dissertation, Getting Everybody Back on the Same Page, about 1930’s-40’s unions in the U.S.A., examines the underlying ideological position of FDR’s New Deal corps, who, save for the commie infiltrators, had zero interest in any government actually of and by the people, even as they insisted that their sorts would take care of the ‘for-the-people’ end of things. A historical look and progressive critique of the standard ‘liberal’ assessments of freedom-of-speech, this philosophical study looks at the practical consequences of the liberal program in the context of widely divergent power bases and resources. The Encyclopedia of the Great Depression holds detailed accounts of La Follette himself, hiswork in the Senate, and also entries on labor, particular strikes and other events, and all manner of rich contextualization. Young Bob La Follette is a short biography of Robert, Jr., with significant insights and data about his work in the senate; here, a brief about the monograph shows up. Journalists, academics, bureaucrats, workers, trade unionists, artists, and many more sorts of people wrote of these trying times. Again, a minute proportion of the critical assessments show up here, along with an even smaller selection from the literary canon. https://libcom.org/files/grapes%20of%20wrath.pdf John Steinbeck’s The Grapes of Wrath relied on Subcommittee testimony, in part, for the construction of this magisterial narrative of human endurance and hope, even in the teeth of depredation and injustice. Josephine Herbst’s Rope of Gold stands on its own, even as it the final installment of a ‘proletarian trilogy’ that both describes the trials and evokes the potential triumph of working class values and empowerment. John Dos Passos, in “The U.S.A. Trilogy,” especially The Big Money depicts the socioeconomic and political economic underpinnings of the United States that led, ineluctably, to depression and the verge of self-destruction; that these eighty year old volumes are inaccessible also serves notice that the copyright system is a fraudulent cover for profiteering, in This Humble Correspondent’s opinion. http://www.gutenberg.org/files/1156/1156-h/1156-h.htm Babbit, Sinclair Lewis’ dissection of American boosterism and petty-bourgeois thuggery, also ‘sets the stage’ for the collapse that characterized the 1930’s. Nelson Algren’s Somebody in Boots, and A Walk on the Wild Side both tell the story of working class struggle and endurance, the former more formulaically and ideologically, the latter in more classical literary form—Somebody in Boots is another eighty year old volume criminally absent from the public domain. Agnes Smedley’s eighty-five year old Daughter of Earth, also absent from the commons as a result of conspiratorial profiteers, provides context for working class experience that emanates from Smedley’s own life and family. The collection, Proletarian Literature in the United States, also is eighty years old and unavailable for public consumption, except for paying the profiteers; This Humble Correspondent’s hard copy, however, makes obvious that supporters of working class empowerment do need this volume on their nighstands. ’37 Pittsburgh Press article about TCI’s paying off National Guard and local constabulary around Birmingham, as testified before La Follette Hearings in Birmingham. http://theanarchistlibrary.org/library/rose-pesotta-bread-upon-the-waters.pdf Rose Perotta’s Bread Upon the Waters gives a politically involved and astute woman’s view of the crimes of capital and the strife that resulted, as well as detailing the creative uproar that wage-earners and their families could create in their own behalf. One more brilliant out-of-copyright volume that is nowhere visible in the electronic commons, Nobody Starves tells the tale of a Detroit couple whose lives come to pieces in the early 1930’s. A front page from The Children’s Newspaper of Detroit, which presents a lead article that talks of the depression generally and of Catherine Brody’s novel, which Sinclair Lewis himself is promoting. This 1938 University of Ottawa dissertation examines the preceding decade’s literary output in the neighboring United States in terms of the Great Depression’s impact, a fascinating as-it-happened exploration of class and culture and conflict in creative context. This decade may end up being the only time period in U.S. history during which the basic laws and practices of the land stood in some kind of roughly fair balance in terms of the equities and rights of the parties in play—workers and owners. A few texts, mainly scholarly, appear here for the reader to ponder. “Worker Insurgency, Radical Organization, and New Deal Labor Legislation” analyzes the way that upheaval and the threat of radical reform, even revolution, drove the strategists of the New Deal in formulating reforms that would not overturn power relations per se. “Bureaucracy and Democracy in Labor Unions,” from 1943, examines the legal and institutional constructs and contradictions in forming disciplined and yet also democratic unions, with its investigation focused on the period prior to its publication, the thirties. While it focuses primarily on interactions with Congress, New Deal Economic Policies also explicates the formation and operation of labor law during the thirties. This analysis of the FLSA, from Political Science Quarterly, looks at the social, political, and legislative background to this key legislative effort of the New Dealers. http://scholarship.law.duke.edu/cgi/viewcontent.cgi?article=1972&context=lcp A more traditional ‘Legislative History,’ this work by a Duke professor examines the Congressional maneuvers and events, bills and debates and such, that led to the passage of a Fair Labor Standards Act. This article from the 1980’s at Rutgers employs a grassroots approach to understanding the dynamics—radicalism and cooptation and such—that connected social change with economic activism and legislative reforms. http://moritzlaw.osu.edu/students/groups/oslj/files/2012/04/72.1.perea_.pdf This article details the first, White-supremacist exclusions of workers from the NLRA—farm workers, overwhelmingly Black. Latino, and Asian, did not receive the benefits of the Act’s reforms. http://www.amazon.com/Workers-Paradox-Republican-Origins-1886-1935/dp/0807847372 Ruth O’Brien’s scholarly volume shows how the true roots of U.S. labor policy, though the administrative apparatuses themselves came into being in the ‘30’s, were the result of earlier thinking and practice, which consciously foresaw collective bargaining’s threat to a ‘classless and individualistic’ society and therefore created a heavily bureaucratized and undemocratic set of strictures to hold back both labor radicalism and worker consciousness. http://digitalcommons – An even more explicit explication of the class motives of FDR’s coterie of New Dealers, this article shows the early Roosevelt administration admiration for and emulation of the ‘Mussolini Model,’ not the expected orientation of anything akin to pro-labor politicos and functionaries. As above, readers here can examine articles and books and other accounts of how, against great odds, working class organizations—unions especially—gained something like a leading role in the political and social arenas. Labor biographies often offer a good starting point in such research. http://www.uswa1010.org/history/1010history.htm This page gives a briefing on what labor history looks like from the bottom up, from the grandchildren and two-and-three-generations-removed coworkers of the present group of steelworkers who sell their labor to big business in Northwest Indiana. http://www.uswa1010.org/LaFollette.htm Here is the portal that Local 1010 donates to citizens who want to know a little more about La Follette and a lot more about the murder of workers that happened, more or less with impunity, throughout the 1930’s. https://depts.washington.edu/pcls/documents/research/Cherny_HarryBridgesLabor.pdf This report about the life and work of Harry Bridges offers a Northwestern U.S. slant on the social relations and conflicts about which the Subcommittee reported in some detail. This anti-union article about the aircraft industry contains plenty of data and information that might serve as ammunition for those who seek to make a case for working class power as an essential element of just and sustainable societies. http://www.reuther.wayne.edu/files/LR000408_0.pdf These Workers Defense League archival materials at Wayne State permit a researcher to see the collective scope of working class organization, which came close to establishing both a revolutionary consciousness and capacity in the 1930’s industrial heartland. Organizing in the Depression South: a Communist’s Memoir, would be required reading among contemporary organizers, in a rational world. This master’s thesis looks at the CIO’s “Operation Dixie” and its hopes and tactics and overall failures. Left Out: Reds and America’s Industrial Unions shows the influence of communists on unions and how, in demonizing this red plague, labor helped to cripple itself. http://deepblue.lib.umich.edu/bitstream/handle/2027.42/51101/333.pdf?sequence=1 “Conflict or Collaboration” discusses the organizing drives of the International Longshoreman’s Association and shippers’ attempts to destroy the union by any means necessary, drawing on both the Subcommittee’s evidence and analysis and multiple other streams of source material. Writers who are conversant with the previous section’s citations, or similar bodies of evidence and analysis, often insist that radical reform must happen if people’s place on the planet is not going to be an ash heap or a prison. A few such texts are on display here. http://www.peri.umass.edu/fileadmin/pdf/conference_papers/crotty/kotz_crotty.pdf This pretty ‘standard-operating-procedure’ white paper, “Economic Crises and Institutional Structures,” makes the comparative point that regulated capitalism fares better than neoliberal agendas during period of crisis. http://www.peri.umass.edu/fileadmin/pdf/conference_papers/crotty/kotz_crotty.pdf David Kotz, in the Review of Radical Political Economics, develops a strong thesis that such crises as have occurred every decade or so since the 1970’s are ‘systemic’ and unavoidable under current regimens. https://libcom.org/library/marxs-theory-crisis-simon-clarke Simon Clarke’s Marx’s Theory of Crisis proffers both the empirical and investigative rubric to assess where we stand and how we need to behave if we would prefer to stand somewhere other than in the midst of repeated, deepening crises. http://rrp.sagepub.com/content/41/3/305 This article examines the evidence, which it finds conclusive, that the 2008 ‘meltdown’ was an aspect of “systemic crisis” that is unavoidable in the current context. Ivan Illich’s The Right to Useful Unemployment will strike many as pie-in-the-sky fantasy. We might inquire though how our prospects look without such visionary persistence and deal with what Illich is arguing, which consists of profound and compelling analysis throughout. http://vho.org/aaargh/fran/livres5/ILLUSNS.PDF Illusions, about thought control, by Noam Chomsky, examines the methods and protocols for managing a world suffused with class conflict without ever having to address core issues. http://72.52.208.92/~gbpprorg/theobamafile.com/Blacklisted_by_History.pdf Blacklisted by History: a Secret History of McCarthy in many instances wants to apologize for the Red Scare, but in so doing offers up loads of data for very different interpretations. The Cutting Edge of Corporate Power portrays the formation of ‘Public Relations’ as a ‘profession,’ detailing the ways that P.R. utilization has underpinned the most basic capacity of corporate ‘persons’ to act in their own interests and against the needs and desires of the vast majority of working class citizens. http://www.wcstudies.org/wp-content/uploads/2013/02/WCSA2009_Program.pdf This conference program from the 2009 Working Class Studies Association conference, Class Matters, contains abstracts of interesting, important, and grounded materials that could assist in persisting with empowering workers projects. With very few exceptions, courts and legislatures have gutted or at least attenuated the National Labor Relations Act and the Fair Labor Standards Act. Just a few scrutinies of such evisceration are the subject matter of this section. http://www.law.cornell.edu/uscode/text/29/chapter-7 This Cornell Labor Law portal looks at the heart of the NLRA, Chapter Seven. https://www.mackinac.org/2306 This neoliberal Michigan organization, in seeking to justify the undermining and diminution of robust union prospects, gives a telling set of insights into corporate thinking of the period just prior to ours. http://ir.lawnet.fordham.edu/cgi/viewcontent.cgi?article=2765&context=flr A 1987 Fordham Law Review NLRA assessment, this article views U.S. labor and organizing prospects at a ’crossroads’ that will permit positive development in the context of a reinvigorated grassroots effort to accompany legislative reforms. Another look, from the Upjohn Institute, scrutinizes NLRA ‘evolution’ in terms of management’s and owners’ goals and objectives, a useful thought-process to understand thoroughly. NLRA’s ‘striking success,’ according to this article, should make us expand its imprimatur, a suggestion that goes decidedly against the grain of the NLRB of the past half-century. http://lawdigitalcommons.bc.edu/cgi/viewcontent.cgi?article=1309&context=bclr An article that calls for expanded 10(j) injunctions reflects how far from its roots the NLRA has strayed, so that now government can foreseeably serve as capital’s sidekick in even more explicit ways. http://www.rhoadssinon.com/updates-publications-71.html A look at the ‘Employee Free Choice Act,’ along original NLRA lines and sponsored by Edward Kennedy, demonstrates the hopelessness of pursuing these agendas through exclusively parliamentary channels, where the stream of commerce is much more potent than the rivers of blood and sweat and tears that create the currency in question. This Congressional Research Service Report, “Federal Labor Relations Statutes: an Overview,” takes the reader form start to present. http://www.fas.org/sgp/crs/misc/R42703.pdf Another CRS Report, “The National Labor Relations Act: Background and Selected Topics” examines the NLRA alone. One more from CRS, via Cornell, “Right to Work Laws: Legislative Background and Empirical Research” provides both historical context and statistical data about the operation of the Taft-Hartley amendments and State adoption of ‘right-to-work’ status. https://www.hsdl.org/?view&did=725108 This CRS volume deals with the Fair Labor Standards Act, again providing background and present status updates. http://sites.temple.edu/lawreview/files/2011/07/ogorman.pdf “Construing the National Labor Relations Act” makes clear that the National Labor Relations Board has done most such ‘statutory construction’ over the years, most of it damaging to labor as a result of the decisions’ only being as supportive as the board members themselves. This Burton Awards essay, “Worker Unity and the Law,” also affirms the reactionary effects of case law and administrative decision making, essentially exercises in divide-and-conquer in large part, but it also sees glimmers of hope in combining NLRA and FSLA approaches. In a climate of oppression, struggling to maintain even a semblance of ‘middle class’ capacity, many workers—and their erstwhile leaders—seem about ready to throw in the towel, cry ‘uncle!’ and make the best deal possible for themselves and their closest colleagues and kin. The citations here present a different perspective, one of winning out even in the darkest hour. Hard Work: Remaking the American Labor Movement is one of many works that call for a Community-Unionist orientation. A chapter in a monograph from communityunionism.org, “Building Coalitions for Regional Power” explains the nitty-gritty tasks necessary to creating powerful union-citizen coalitions. “The Power and Promise of Community Unionism,” from Cornell’s Institute for Labor Research, also delves this topic—union-citizen coalitions—as both a pragmatic and theoretical matter for workers to consider. http://catdir.loc.gov/catdir/samples/cam033/2002073770.pdf A pro-union professor from South Carolina has written The Future of the American Labor Movement. Therein, he vocalizes a passionate plea for a more socially democratic approach to union outreach. http://upf.com/book.asp?id=MINCHS05 Don’t Sleep With Stevens chronicles the epic, two decade struggle, primarily in South Carolina, against J.P. Stevens, the upshot of which was a partial victory in organizing in this cauldron of fascist ideation and anti-union fanaticism. This compilation of essays, organized like an encyclopedia, gives a thorough introduction to this most basic of labor tools, scrutinizing major campaigns along with organizational and other themes of conducting union business in favor of workers. http://www.truth-out.org/news/item/22378-how-the-gop-ambushed-the-vw-union-election This recent article, from TruthOut, looks at what happened at VW in Tennessee as an ambush election in Chattanooga. This vicious and smarmy attack on the NLRA simultaneously shows the continuity of 1930’s attitudes to the present day and the powerful ideological foundations of anti-union beliefs. http://www.usasurvival.org/docs/NLGrprt1959.pdf Communist Legal Subversion explicates the House Un-American Activities Committee’s report, “The Communist Lawyer,” showing in the process how such ideas and attitudes threaten any possibility of solidarity or successful organization. http://www.aarclibrary.org/publib/church/reports/book3/pdf/churchb3_7_development.pdf This offshoot of the Senate’s 1970’s Church Committee, which investigated illegal spying by U.S. agencies, and the criminal results that occasionally ensued, looks at the FBI’s domestic intelligence history, which intersects with issues of espionage against labor in various ways. http://havenscenter.wisc.edu/files/southern_imposition.pdf The South’s ‘second secession,’ from FLSA, NLRA, etc., is the subject matter of this monograph, a practical guide to the electoral politics, supremacist attitudes, and cultural roots of keeping the Southern working class divided and weak. http://cdn.calisphere.org/data/28722/0c/bk0003t9x0c/files/bk0003t9x0c-FID1.pdf Darryl Holter’s incisive analysis in “Reorganizing Labor: Can Unions Come Back?” is a decisive ‘Yes!’ but with caveats. http://www.repository.law.indiana.edu/cgi/viewcontent.cgi?article=1329&context=ijgls Private police will always represent a threat to democratic institutions, according to this law review article, a conclusion certainly in keeping with the findings of La Follette’s Subcommittee eighty years ago. http://www.southernstudies.org/2014/02/how-can-labor-organize-the-south.html “How Can Labor Organize the South?” presents a brief overview of this critical question that was part of a forum earlier this month in North Carolina’s capitol, the heart of the least organized region of North America. http://www.counterpunch.org/2014/02/24/how-to-jumpstart-your-union/ A review of a recent Labor Notes publication, How to Jumpstart Your Union, both the article and the book tell the tale and recite the lessons that arise from the incredible turnaround in the Chicago Teachers Union, entailing a radical and community-centered organizational strategy. https://www.shrm.org/Research/FutureWorkplaceTrends/Documents/Visions1005.pdf This issue of Workplace Visions presents insights and possibilities that arise from an examination of the Change-to-Win’s growth strategies in SEIU and elsewhere. http://scholarship.law.upenn.edu/cgi/viewcontent.cgi?article=1003&context=jbl “Why Labor Unions Can and Must Survive” is an older but insightful rallying cry from academia. An analysis that sees union opportunity in community coalition, this piece serves as a guide to successful strategic development. http://talkingunion.wordpress.com/ This Democratic Socialist of America portal includes many ways of looking at the necessity of coming up with a successful Southern strategy for unions. Another delineation of trial and tribulation, “A ‘New Labor Movement’ in the Shell of the Old” is a twenty year old tract that still offers informative analysis and useful vision. http://monthlyreview.org/2005/06/01/labor-needs-a-radical-vision “Labor Needs a Radical Vision” backs up its assertion with both key data and incisive analysis. This article presents a review-essay of Dan Clawson’s Union Renewal, critically examined from the perspective of a committed European trade-unionist. Each posting in this topic area, “Blazing a Union Trail Through the Thickets of Time,” could easily encompass many volumes and thousands, even tens of thousands of citations and links. The huge range of artistic expression, music, literature, is almost entirely absent so far. Readers, should they show up, could help ameliorate these missing pieces. They could fill in the blanks. They could fulfill the mandate of a ‘Solidarity Society’ by assisting in the process of teaching and learning together. That’s one legacy of Robert La Follette’s “Civil Liberties Subcommittee,” which so graphically portrayed the bravery of ordinary citizens in their willingness to stand against a murderous machine, whose treacherous, even barbaric, machinations most business owners nevertheless continue to maintain is the only way to do business. They stubbornly posit, to this day, that what is good for wealth is good for America, a stance that, thankfully, more than a few people are now questioning wholeheartedly. What becomes available in outlets such as this is a chance to see how things work in conjunction with each other. This vast panoply of interrelations, of place and social evolution, of political economy and history, of people’s striving for awareness even as the possibilities of consciousness seem ever elusive, all fit together somehow. A poem from United Steel Workers of America’s Local 1010 website, by the ‘fighting labor educator,’ Clara Johnson Fuller, puts such ideas into perspective in a lyrical way. Our job is to seek to figure out how, and then act on these suppositions so as to live better together. What else is our common humanity about?